Well, it appears that May is the Anti-April...as if to make up for posting daily, I've gone AWOL. The radio silence is not over just yet, as this weekend I am headed off to...Zurich. Yes, really--I've never been to Switzerland, but I will be vastly disappointed if gnomes are not on hand to greet me at the airport bearing army knives and KinderEggs. More when I return. I promise! And thanks (in advance of a longer posting) to all who came out to the Mother's Day reading at Iota...it was a real knockout. 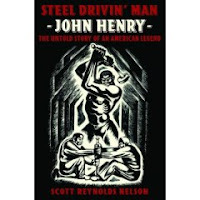 This Tuesday, there will be a reading (with music) by Scott Reynolds Nelson, winner of the Arts Club of Washington’s inaugural National Award for Arts Writing for Steel Drivin’ Man: John Henry, The Untold Story of an American Legend (Oxford University Press). The National Award for Arts Writing is given annually by the Arts Club of Washington in recognition of excellence in writing about the arts for a broad audience. The substantial Award of $15,000 is the only one of its kind the country. The ballad “John Henry” is the most recorded folk song in American history and John Henry-–the mighty railroad man who could blast through rock faster than a steam drill--is a towering figure in our culture. In Steel Drivin’ Man, Scott Reynolds Nelson masterfully captures the life of the ballad, tracing the song’s evolution from work song through the blues to its place as the premiere American folk song; from the first printed score by blues legend W. C. Handy, to Carl Sandburg’s use of the ballad to become the first “folk singer,” to the upbeat version by Tennessee Ernie Ford. Scott Reynolds Nelson is Legum Professor of History at the College of William and Mary. The author of Iron Confederacies: Southern Railways, Klan Violence, and Reconstruction, and coauthor, with Carol Sheriff, of A People At War: Civilians and Soldiers in America’s Civil War, he served as a consultant on the forthcoming PBS documentary on John Henry. Steel Drivin’ Man has also received a 2007 Merle Curti Prize from the Organization of American Historians and the Anisfield-Wolf Book Award for Nonfiction, an award that recognizes books on race and culture. 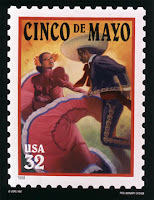 Celebrate my birthday today...thousands of Mexicans can't be wrong. Deb tagged me to list "5 songs that knock my socks off." I might revise or elaborate, but here's a starting lineup. My choices are based entirely on "which songs do I get sucked into singing along to, at the top of my lungs, EVERY time I hear them?" Yeah, it's a goofy list. So sue me! I'm the birthday girl. 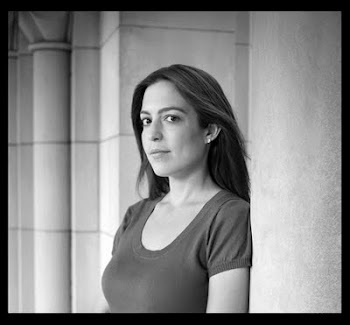 For those in the DC area: next Sunday, MAY 13, from 6-8 PM, I'll be reading at Club Iota in Arlington, VA (2832 Wilson Blvd., #703 256-9275) with a great writer, Ellen Cole. An open mic will follow. I'll debut some of the revised NaPoWriMo poems and possibly, tap dance (depends on the crowd). Mothers are welcome; there's even a bar. How relevant the latter is to the former depends, of course, on your particular mother. Just got back from an exhilirating evening watching the National Finals of the Poetry Out Loud competition, held this year in DC. Poetry Out Loud is a recitation contest for high schoolers; about 100,000 participating kids are winnowed down to 51 state champions (including the District of Columbia). Kudos to the cosponsors, the NEA and the Poetry Foundation, for putting their money where their mouths are: $200 for each state champion, $500 to each state champion's school for the purchase of poetry books, and hotel and airfare to DC courtesy of Southwest Airlines. The judges included Marilyn Chin, Garrison Keillor, and Kwame Dawes; judges for the Semifinals included Major Jackson and Ethelbert Miller. This year, the Virginia Commission for the Arts gave me the honor of coaching Alanna Rivera, the Virginia champion. The options for poems are drawn from an anthology created specifically for Poetry Out Loud, representing a range of eras and styles--you can browse here. Alanna chose a rich but challenging trio: "Walking Down Park" by Nikki Giovanni, "Conversation" by Ai (which is partially written in the voice of Robert Lowell), and "A Satirical Elegy on the Death of a Late Famous General" by Jonathan Swift. We've been working on these poems all month, focusing less on the basics of diction and memorization--she already had those nailed--and more on the nuance of what the poems said, where to emphasize a line, and body language. The hard work paid off when Alanna made it to the finals, where the stakes got higher: $1,000 scholarships for each of the 12 finalists. And then, something incredible...tonight Alanna Rivera placed in the top three, securing a $5,000 scholarship! And the girl who got first place--and incredible $20,000 prize--was the Washington, D.C. champion! It's a good day to live where I do. The first and second place winners used extremely dynamic delivery styles, performing the poems as dramatic monologues; the winner, in fact, turned Anne Sexton's "Unknown Girl in the Maternity Ward" into a showstopper, and will use her scholarship to attend NYU's Tisch School for the Arts this fall. A dramatic style is great, and always a crowd pleaser. But what Alanna offered--and the reason the judges recognized her in the top three, I think--were poised and nuanced readings that honored the poet's own voice. There's something to be said for letting the words speak: at the end of the day everything else, from showy hand gestures to character accents to anguished pauses, is just distraction from the power of the original poem. Golly damn. All of this to say that watching Alanna live and breathe these poems for the last month has been amazing. Congratulations to ALL the participants--but really, the lucky winner tonight was Poetry. And me, for getting to tag along for the ride.